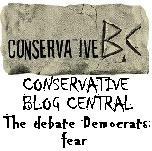 After last night’s tragically disappointing debate performance by the liberal messiah, President Barack Obama, Al Gore claimed took the opportunity to to use his obscure, irrelevant, and barely watched cable network, Current TV, to the high altitude of Denver, the locations of last night’s debate, for President Obama’s losing debate performance. Gore predicates his charge by making it clear that his opinion will be a controversial one but not so according to the cast of clowns gathered around Gore on the panel, who all agreed that the altitude was certainly part of the President’s problem. The unintended result of this theory is that if President Obama has a problem with high positions, than he obviously is not capable of holding the highest position in our nation. Florida is preparing today to announce that they are moving their primary to January 31. While this comes as no surprise, it still angers several other states who may now have to push their primaries up as well to get their early start. I don’t blame them, Florida is kind of acting like it’s the big man on campus. As a Floridian myself, I figured I would bring some local perspective to the issue. Florida is a state that has called the election in all but one of the last 10 elections. Florida went blue in 2008, red in 2004, narrowly red in 2000, and blue in 1996. Each time, Florida helped pick the winner. 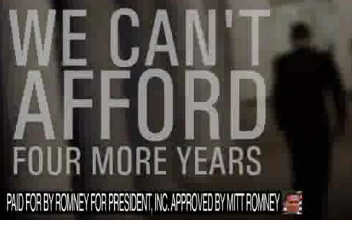 In 2008, Florida played a huge role as a game changer for the Romney campaign. Romney went into the Florida primary expecting a slim win. Instead he was handed a slim loss. John McCain went on to be our candidate, and lose. Despite the horrible first three years Obama has experienced, Florida will likely be a deciding factor again in this general election. Florida could be a huge game changer in this election, if the Florida straw poll is any indication. As far as the media is concerned, this is a two man race between the faltering Rick Perry and the polished fiscal conservative Mitt Romney. But influential Florida Republicans said no. Let’s take another look at Herman Cain. Shortly afterward, a Rasmussen poll added weight to the Florida game changer. Herman Cain went from a future has-been back to contender status in one afternoon. Let’s face it. We know Iowa will probably go to Rick Perry and New Hampshire will go to Mitt Romney. I think South Carolina is a toss up right now. Florida is a clear toss up. By moving up, Florida will get the candidates to flood the state, court the voters, and could be an early change in the momentum of the race. Of course, other early states like Iowa and South Carolina will no doubt move up their primaries. But Florida will still get that early say and make sure we have a voice before it truly is just a two man race. Considering the role Florida plays in the general election, maybe other states should just get used to our bully stance. Then again, we were the deciding factor in tossing John McCain into the ring with Barack Obama. So maybe not. Back in mid June, I wrote this. Al Gore and Hillary Clinton would be successful primary challengers to Obama. I think this very early prediction may need some adjusting. Al Gore has recently joined the quickly backfiring liberal trend of charging opponents with racism in any context. 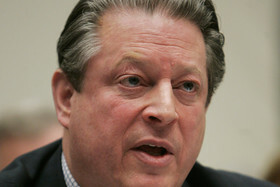 Gore, whose own father voted against the Civil Rights Act, said that global warming deniers should be treated like racists. 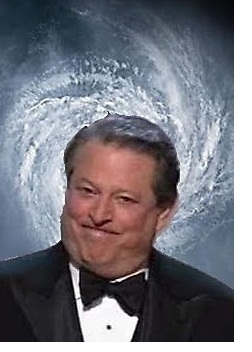 So, Mr. Gore, as a global warming denier myself, I’ll be expecting a gift-wrapped tie on Father’s Day. Of course, Gore’s timing is terrible. This is also the week that Andre Carson declared that TEA Party members would like to see blacks hanging from trees. The constant charge of racism, especially towards a multi-racial group like the TEA Party, is getting stale and ridiculous. At this point, Democrats who make charges of racism every time someone disagrees with them have lost credibility. 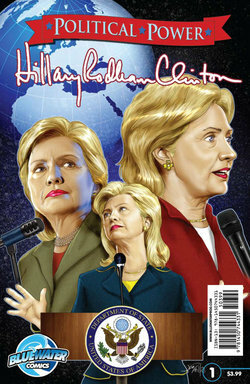 Enter Hillary 2012. Back in June I didn’t think Hillary would have success at the head of the ticket because she lost in 2008 and has worked for Obama ever since. In fact, hiring Biden and Clinton were probably the smartest things Obama has done politically. Now, I think she may have a better chance. The worse things get, the more nostalgia sets in. People start to fool themselves into thinking Hillary could be as moderate as her husband became when Newt ran Congress. Already, 32% of Democrats are admitting they need a primary challenger. Hillary could pull a Rick Perry, riding a wave of anti-current field sentiment and quickly becoming the front runner. 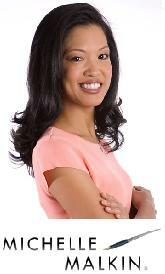 By entering the race now, she would be a fresh face. She would carry the excitement of being something new and different. She would bring change, the only thing more distracting to a Liberal than a shiny object. She could offer the Democrats everything Obama has failed to deliver on, even though her similar policies would produce the same results. 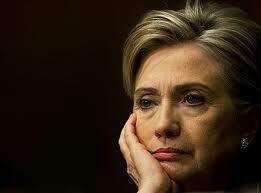 If ever Hillary was going to be President, 2012 would be her year. Al Gore has a new cause: socially responsible capitalism. And it could be his ticket to the Whitehouse. 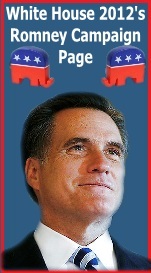 Now, Whitehouse2012 is normally a GOP primary website blog and I certainly would never endorse an Al Gore candidacy. However, it is worth noting that Barack Obama’s economy is in trouble, his ideologies are becoming highly unpopular with many of the social liberal/fiscal conservative Democrats who elected him, and the contrast between his words and deeds are becoming ever more apparent. Perhaps you haven’t noticed, but Obama’s policies are failing and he has no one left to blame. Even DNC Chair Debbi Wasserman-Shulz said Democrats own this economy. Of course, in her opinion things are going pretty well in America these days. Obama on the other hand, with a playful chuckle, has admitted that his trillion dollar stimulus hasn’t created the “shovel ready jobs” he hoped it would. Meanwhile, Al Gore is presenting himself as a contrast to the anti-capitalist rhetoric of his party. At least that is how he is positioning his pro-socially responsible version of capitalism. 1. 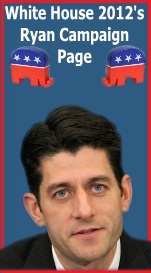 He won the vice presidency twice and won the popular vote in 2000. Al Gore may be the last person left who could run against the “wrongs” of George W. Bush and actually get votes because of it. 3. Social Security lockbox. Just sayin’. 4. Gore is the ultimate green energy advocate. I mean, come on. He won a Nobel Prize. Nevermind that his garage consumed more energy every year than George W. Bush’s entire property. 5. Gore is an outsider who has been out of the spotlight long enough for the stink of dirty politics to wear off. People look at the Clinton years and even Gore’s candidacy with nostalgia now. Sure he tried to sexually assault a massage therapist a few months back, but he’s a Democrat. It’s part of the job description. All Al Gore needs is a good running mate. Who better than Secretary of State Hillary Clinton? While Obama is out there bowing to dictators and can’t seem to rub enough etiquette together to keep from embarrassing himself every time he visits England, Hillary has become somewhat of a rockstar of foreign policy. In fact, she is even the hero of a new comic book. How’s that for an inspiring idea for a Summer 2012 movie? Hillary is the Democrat most Democrats wish they had run in 2008. She fixes Obama’s overseas messes, and can invoke the “following orders” argument for embarrassments like our war on Libya. There is still time for an opposing Democrat ticket to make a primary out of it. When this latest leg of the great Obama recession kicks into full gear, a Democrat primary is going to look real appealing to the disappointed left. So you heard it here first: Gore/Clinton 2012. Time to get the band back together. Chris Christie In Iowa Now, But How About In the White House Later? Did Ronald Reagan want to be president more than anything else in the world? Did Eisenhower or Truman? Did Lincoln want it more than anything? Clinton did. Nixon did. The Roosevelts sure seemed to want it badly. Did George W. Bush want it more than Al Gore did? Is burning ambition the determining factor of who becomes president? In good times it probably is. In times of crisis, the presidency is not an ambition. It becomes a duty. A sacrifice for a transformative leader. I believe Governor Christie when he says he will not be a candidate for president in 2012. I don’t think he would leave his work in New Jersey half done. I think he really believes in the work that he his doing now, especially in regard to education, is a higher calling. By transforming state government and education, and setting an example for other states to follow, he can make a more powerful impact on the quality life in our nation than many presidents have. Chris Christie could probably win the 2012 Republican nomination for president. He could probably win the office. If his ambitions were personal, he would probably do it. 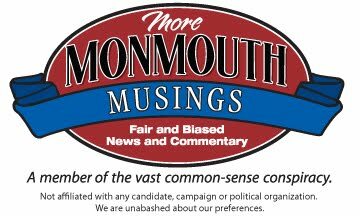 Art Gallagher is a New Jersey political writer, pundit and Republican leader who blogs at More Monmouth Musings, an online publication geared towards Monmouth County, New Jersey politics, but which often expands its scope to touch upon politics throughout the state. A graduate of Georgetown University with a BA in Economics, in 1988 Art founded his own business, Gallco Enterprises, a vehicle and equipment leasing company and a used vehicle dealership which he currently serves as the President of. Art has also served as President of the Northern Monmouth Chamber of Commerce and the Chairman of the Atlantic Highlands Republican Committee in New Jersey and has served as an advisor to many Jersey political figures and their campaigns. Mr. Gallagher’s political expertise and intuition, combined with his dedicated service to the Republican cause makes him a most welcome addition to White House 2012 and we are honored and pleased to have him join us this November.